Xiaomi has announced that it is going to integrate Google Lens into its MIUI camera app and this has been announced on the Mi Forum and nothing has been mentioned about the availability as of now. The feature is currently available only for the Poco F1, Redmi Note 7 series, Redmi Y2 in Beta ROM builds. Google lens is a feature that allows the user’s image search and it can be accessed directly from their native camera app and to use this feature the users needs to tap on the Google lens button. As of now the feature is being tested on few Xiaomi phones now and will be rolled out commercially in the next few weeks. After the integration, the users will be able to access the Google lens directly from their native camera app and to use this feature the users need to tap on the Google lens button in the overflow menu. The user of the Poco F1, Redmi Note 7 series and Redmi Y2 can see the Google Lens button in the native camera app after the latest beta. After the Google lens is integrated on to the MIUI camera, go to the MIUI camera app and then tap on the three lines on the top right corner and you can see the Google Lens option. Once selected, the user can scan the object and will be giving results based on the AI Google Algorithm. With Google Lens, users can Collect contact information, Recognise images, Scan objects and give their relative information, look for movies, books etc. 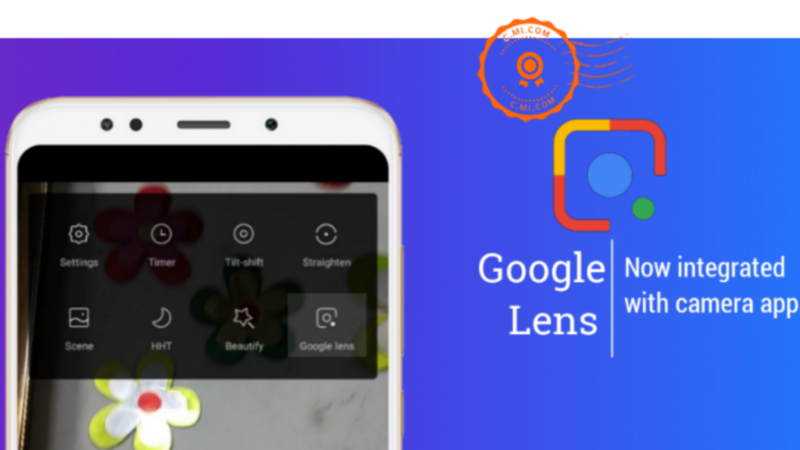 Google lens was unveiled in 2017 I/O which is almost two years back as an image recognition tool that can give suggestions and identify objects that are being scanned with the phone camera. Are you using any of the phones listed above? Do have any plans for using the Google lens? Comment in the section below and do stay tuned to Android Advices for more news and update.